I suspect, but am not sure, that this might be a third motif in pseudocontextual questions: including a picture to make sure you know what the thing being discussed *actually is*. We’ve written a question that uses the word “tornado” somewhere in the question. 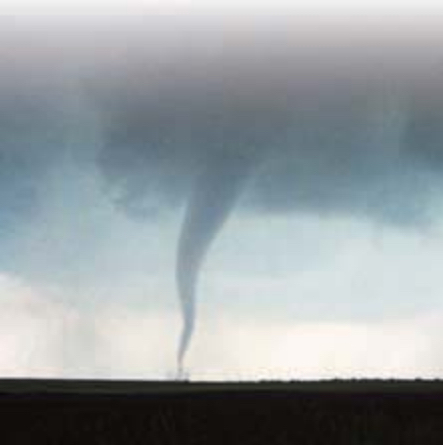 In case you do not know what one of those is, here is a picture of a tornado. It’s like combining a mini-vocabulary lesson with a math problem. The difficulty is that if you don’t know what tornados are and do, if you don’t have some intuitive sense of tornados, you have no meaningful chance of being able reason quantitatively about them. I’m eager to find out! This is the first one I guessed correctly, so I am feeling pretty proud of myself. I was trying to think of a way to save the problem – like many provide an actual aerial photo of tornado damage and asking how we could find the area without saying it’s a parallelogram with maybe the chance for scaling and stuff. 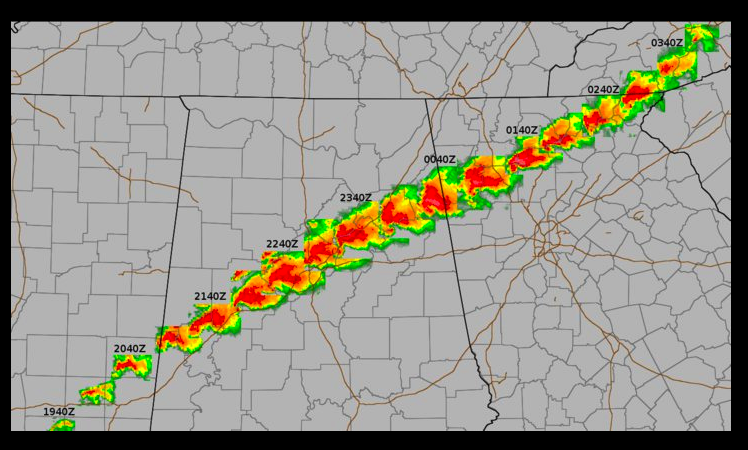 So I googled that and found tornadoes leave a pretty typical pattern of damage and it seems to never be a parallelogram. So I googled that and found tornadoes leave a pretty typical pattern of damage and it seems to never be a parallelogram. It’s kinda parallelogram-ish, you know. I was right! It was a vocabulary lesson for people who don’t know what tornados are. The little map is even worse. It’s called a “real world example”, so we should be able to find a real Lake county that’s bounded by Knox, Adams, Lucas, and Fox counties, right? Right? No. There are five Lake Counties in the US: IL, FL, OH, MI, IN. The only state with both a Lake County and a Knox County seems to be Ohio, but they’re nowhere near each other. The “real -world link” is utterly pointless, completely unrelated even to the pseudocontext. It reinforces the impression that mathematicians are enamored with numbers for their own sake. Who are we, the Count? In Year 6 in the UK we’re just getting ready for our SATS tests and are blogging some real world questions that we’ve (the children) have come up with. Hopefully we don’t see this sort of real-world-that-never-really-happens-outside-of-a-textbook-so-isn’t-really-real example in the actual exam! I just LOVE that you called this pseudocontext delicious. :) So funny. Keep ’em coming. This issue of contextual nightmares has bothered me since I was sitting in the student’s desk, learning Algebra 1, Geometry, and Algebra 2. It is so easy to see through the veil of pretend real-world-application that I have always felt disingenuous when I have given my own students problems that are supposedly great applications of the math we’re doing. Thank you for your Saturday reminders that those of us who dry heave a little every time we see a pseudocontext problem are not alone.